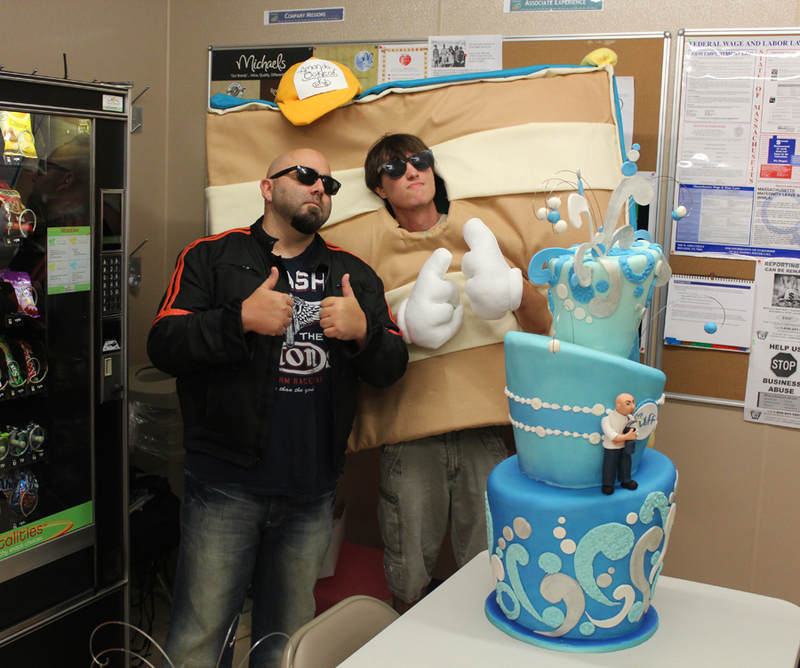 Oakleaf Cakes Crew Meets Duff Goldman! 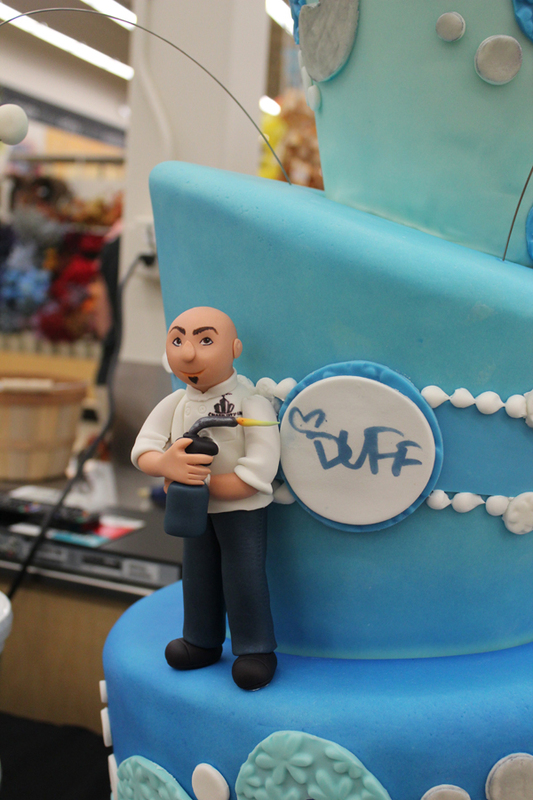 A while back we were asked by Duff Goldman to make a cake for his product release/signing event at the Weymouth Michael’s. This was super exciting for two reasons. 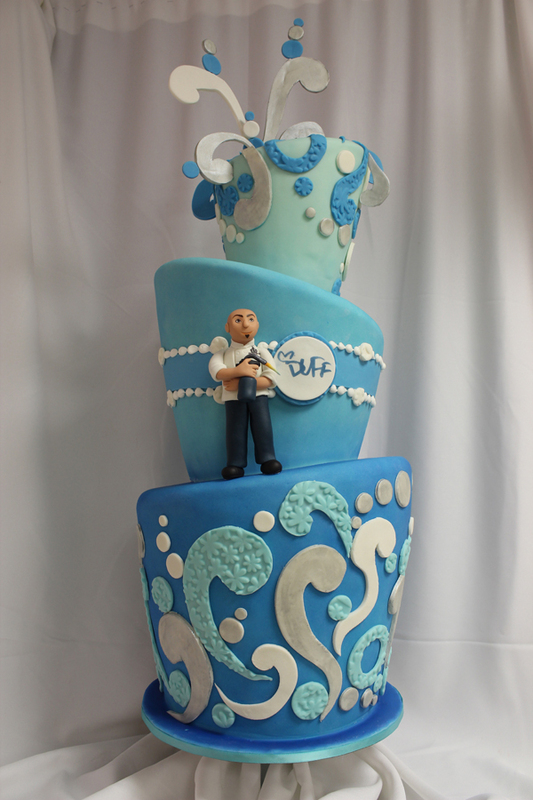 One, who doesn’t love Duff Goldman and two, they sent us free Duff brand cake decorating supplies to use to make this cake! 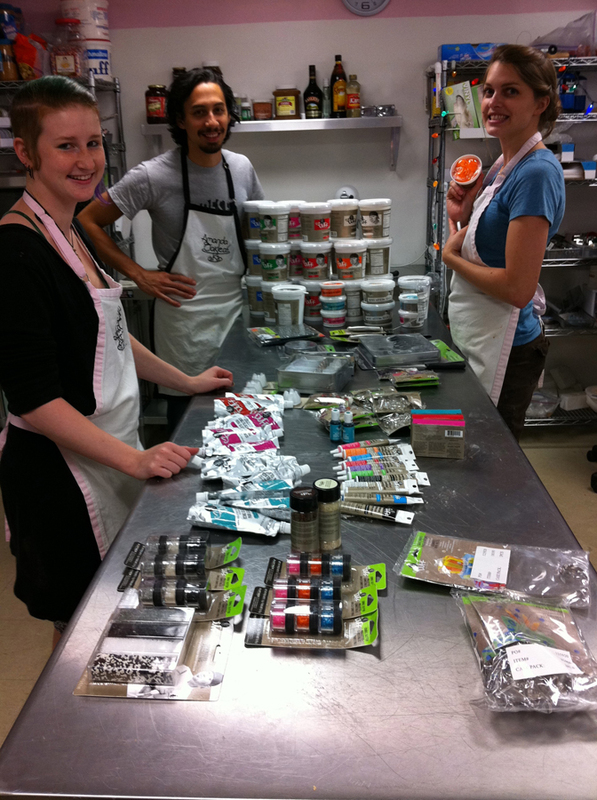 They sent us everything from fondant, to stencils and sprinkles. It was like a cake Christmas. It was over a week now since the event but we finally got around to posting some pictures. Enjoy! Also, check out our facebook page for additional photos of the day. Kat, Tim and I on cake Christmas. Closeup of the sugar Duff figurine. 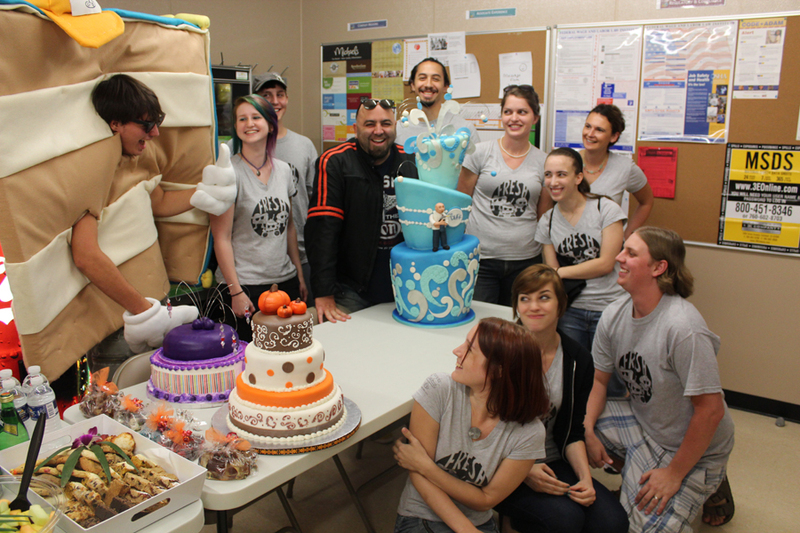 The entire Oakleaf Cakes crew with Duff. Left to Right: Brian-dishwasher/aka Dr. Fresh, Kat-figurine master/decorator, Davis-dishwasher/janitor, Duff, Tim-sculptor/decorator, Me, Alyssa-office assistant/frosting maker, Julie-office assistant/decorator. 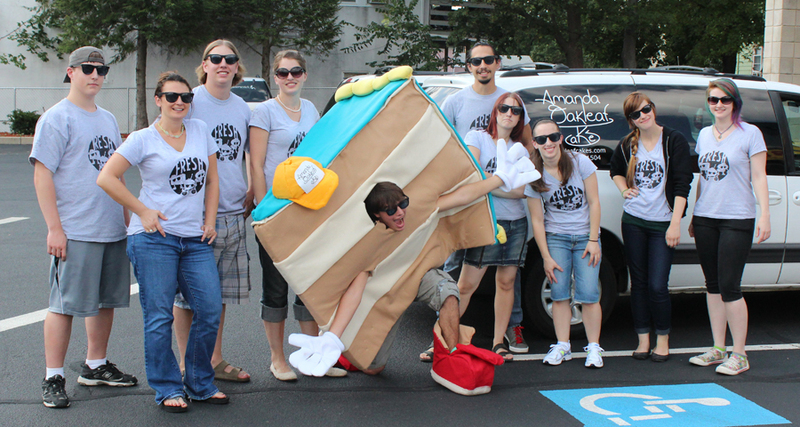 Front row: Ashley-baker, Elizabeth-cupcake master/decorator, Tyler-c0-owner and engineer/designer. Duff with our mascot Dr. Fresh. Oh ya!